Craft Signs was founded in 1985 by Robert Iezzi with a simple business plan. Provide our customers with exceptional workmanship, experienced craftsmanship, and friendly customer service. Our success is attributed to these simple principles. Our state of the art facilities and equipment allow us to provide our services efficiently without sacrificing our founding principles. And we are still finding ways to improve our processes. Whether it is a custom banner or a cast bronze architectural sign, each project gets the same attention to detail we pride ourselves with. 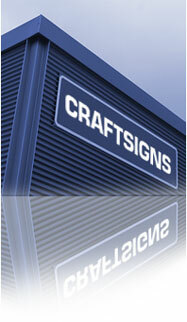 You'll find Craft Signs the most qualified and reliable resource for all of your visual communication needs.